The Maryland General Assembly will convene in Annapolis Wednesday, for its annual 90-day session that runs through April 8th. 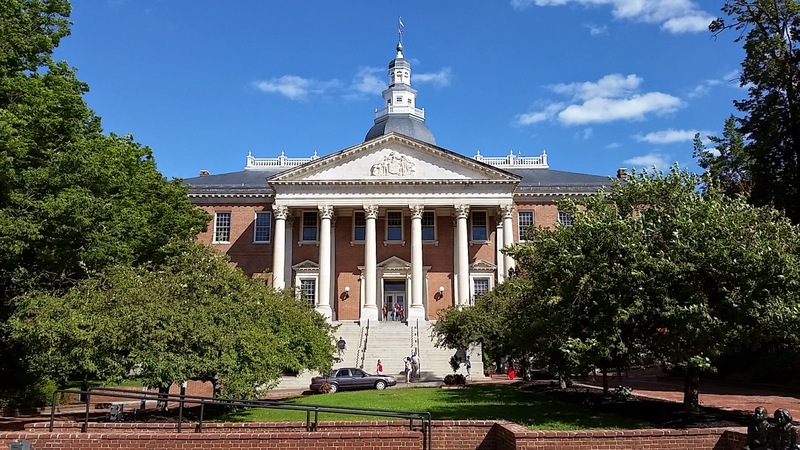 ABC members are not alone when asking the perennial question, “Well, what should I expect?” Below are some of the business and construction issues that Maryland legislators have hinted at taking up during the 2019 session of the Maryland General Assembly. Minimum Wage: Democrats and labor advocates are poised to push for a minimum wage increase from the current $10.10 an hour, which is $2.85 more an hour than the federal minimum wage, to $15 an hour. While an increase to $15 an hour may not be likely this session, one should expect some sort of minimum wage increase as the 2018 increase to $10.10 an hour was the last of the phased-in increases that were set by Maryland lawmakers in 2014. Since 2015, Maryland minimum wage has increased from $2.85 an hour from $7.25 an hour to $10.10 an hour. Corporate Income Tax: In an effort to upgrade Maryland’s overall business climate, the Maryland Chamber of Commerce along with its business coalition partners are hoping to persuade the Maryland General Assembly to gradually lower the state’s corporate income tax rate over three years to bring it down to 7% percent by 2021. The current corporate income tax rate for Maryland is 8.25%. Despite getting a meaningful break at the federal level because of the Tax Cuts and Jobs Act, which slashed the federal corporate income tax rate from 35 percent to 21 percent, the Maryland Comptroller estimates that with the elimination of various tax deductions under the federal act, businesses will end up paying more taxes at the state level. By comparison, neighboring Virginia has a 6% state tax rate, while Pennsylvania has a 9.99% tax rate. This is not the first time Maryland business leaders have pushed for a reduction in the corporate tax rate, but with the recent loss of Amazon’s H2Q to Northern Virginia proponents of the reduction have a revived argument for a change. Opportunity Zones: In 2017, the federal government passed the Tax Cuts and Job​s Act, which created the Opportunity Zone program now administered by the U.S. Treasury Department. The program provides federal tax incentives for investment in distressed communities over the next 10 years. Areas designated as Opportunity Zones of which Maryland has 149 will be able to reap the benefits of capital gains to help redevelop underserved communities. Governor Hogan will seek to build on this program when he presents the “More Opportunities for Marylanders Act”, as well as earmarked funding in his budget to boost Maryland’s Opportunity Zones. The Act would extend a 10-year state tax credit for each job created by a company that expands or locates in an Opportunity Zone. Those companies also could get up to $6 million more in tax credits, pay no state property tax, and have other governmental fees waived. Furthermore, Governor Hogan is allocating $3 million in his budget for the “Opportunity Works” job training program for companies in the Opportunity Zones, as well as $16 million into a new Maryland Technology Infrastructure Fund, which would be used to “leverage” up to $500 million in private investment. Road Projects: The legislature anticipates that Governor Hogan will forge ahead with a plan for a public-private partnership to construct more than 100 miles of toll lanes to widen the Capital Beltway, Interstate 270, the Baltimore-Washington Parkway, and U.S. 15 through the City of Frederick in order to alleviate congestion. The cost of expansion is modestly estimated at $9 billion. In response to the Governor’s proposal, State Delegate Alfred C. Carr Jr. of Montgomery County has introduced a local bill that would require state officials to get the county’s approval before they can build a toll road through Montgomery County. Similarly, a freshman delegate from Montgomery County, Delegate-elect Vaughn Stewart, plans to introduce the Transportation Climate Accountability Act of 2019. Under the bill, comprehensive studies of both the anticipated greenhouse gas emissions and air pollution would have to be conducted for any state-funded highway project or a project being built through a public-private partnership. School Construction: Governor Hogan also announced that he will present the “Building Opportunity Fund Act”, which will provide new additional school construction funding, make progress on the backlog of county priorities, and create new construction jobs. Clean Energy: The Maryland Clean Energy Jobs Act of 2019 will be reintroduced. The bill proposes a statewide renewable energy use increase to 50 percent by 2040, with plans to achieve 100 percent clean energy by 2050. Only solar photovoltaic, solar water heating, wind, ocean, small hydroelectric, or stored energy from one of these sources is eligible for the new RPS. Opponents of the measure believe that such a move by the state will cause energy costs to skyrocket for consumers. Constitutional Amendment for Clean Air and Water: Delegate Steve Lafferty will present The Healthy Green Amendment to the state’s constitution that would add the right to a healthy, clean environment with our other inalienable rights such the freedom of speech and religion. The proposal would require the state to consider the effect of any proposed action on pure water, clean air, and ecologically healthy habitats and thus broaden the types of lawsuits that citizens may bring in fighting development projects. Environmentalist conceded that such a measure would help prevent some future development projects. Opponents of this constitutional amendment fear that every development project will be fraught with endless litigation and will ultimate stifle economic development.